Rogue One definitely felt more like a war film than any of the rest of this eight movie franchise with “Wars” in the title. It’s certainly a darker movie, set at a time in the war where the Empire outmatches the Rebels by a long way, so sacrifice is a key theme. For those of you who have been living under a rock this past year, the plot is essentially based on the opening crawl of A New Hope. We follow the story of Jyn Erso (Felicity Jones) as she is swept up in the Rebellion, eventually leading the raid that secures the Death Star plans. 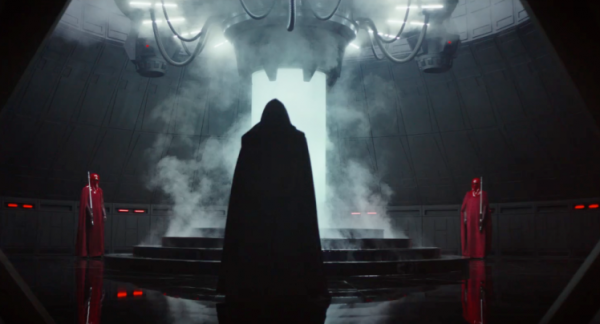 We open with Galen Erso (a mostly wasted Mads Mikkelesen), an ex-Empire scientist, being taken away by new villain Orson Krennic (Ben Mendelsohn). The emotional beats here are familiar and even a little boring, with Galen’s wife killed while their young daughter Jyn watches, the visuals are striking. The cinematography is better than it’s ever been. Perhaps this textbook tragic backstory setup can be forgiven since the feat of crafting this plot to match up with the rest of the franchise can’t have been easy, but it’s still a little disappointing in its laziness. This film explores a father-daughter relationship - something we didn’t get to see between Vader and Leia in the original trilogy, but it definitely would have been more groundbreaking to start the film without a fridged mother. We have seen some great work from Felicity Jones in recent years, but amongst such a powerful ensemble, she didn’t quite shine out as the symbol of hope she was meant to be. Though she did well in more conversational scenes, and in the actions scenes, there were some pretty important turning points in the plot which hinged entirely on Jyn’s emotional response or on her inspiring charisma: both were lacking. The best parts of the film were undoubtedly the rest of the Rogue One crew. Special mention goes to Alan Tudyk's K2SO who's sarcasm is startlingly funny. 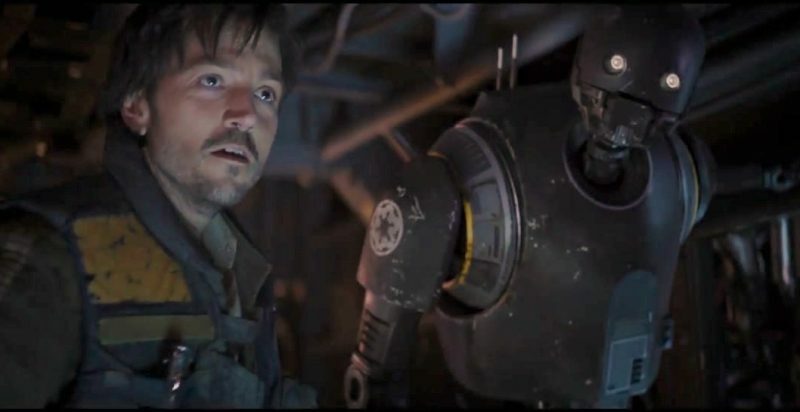 Diego Luna’s Cassian Andor is equal parts dashing and mysterious, dedicated to his cause, and loyal to his friends. All elements that make up our favorite Star Wars heroes, but with an edge of darkness borne of the dangerous times he lives in. The horrors of war are not shied away from, including the bad things that good people do to achieve their aims. Incredible martial artist Donnie Yen and Wen Jiang brought both a spirituality and a humor to a film that could have easily been devoid of both. 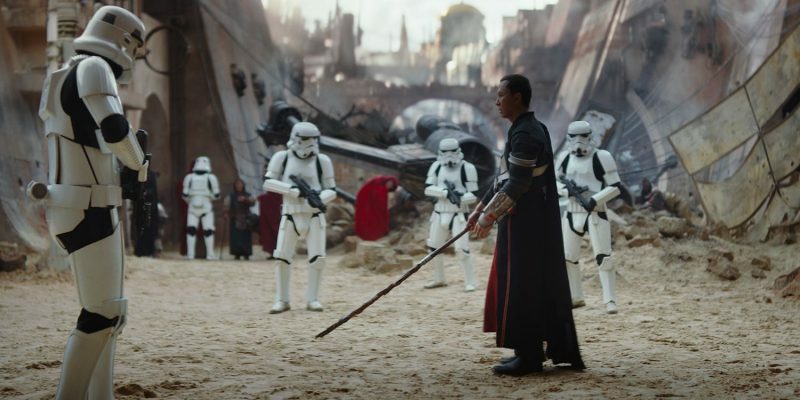 The relationship between Baze and Chirrut certainly garnered the biggest emotional response, while Yen’s fight scenes are without a doubt the best the franchise has ever seen. Riz Ahmed’s Bodhi Rook gave us a non-traditional hero, but a vitally important one. Unlike Cassian, Bodhi hasn’t been with the Rebellion for long, and he’s not practiced at fighting, and a lot of the time he’s visibly terrified, but he knows that people are relying on him, so he does what needs to be done. Rather than a swashbuckling hero, or a warrior, he is the closest we’ll probably ever get to an ordinary person, someone like you and me, playing his part and doing all he can in a war much bigger than him. Ahmed plays this vital role with an extraordinary emotional sensitivity. 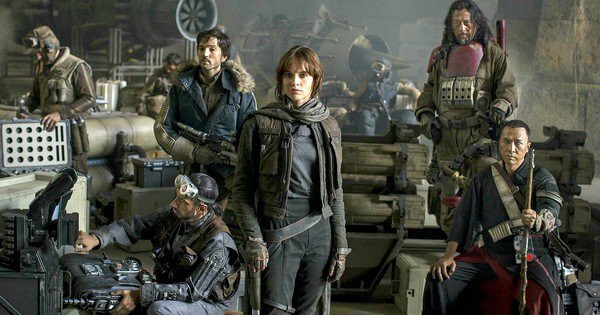 In the politically unstable world we live in today, Rogue One makes some interesting points about the nature of rebellion. A character played by Mexican actor (with his natural accent!) has been in this fight since he was six years old, practically born into it. A character played by a British-Pakistani Muslim actor defies the role he has been given and fights for his own life and those of his comrades. 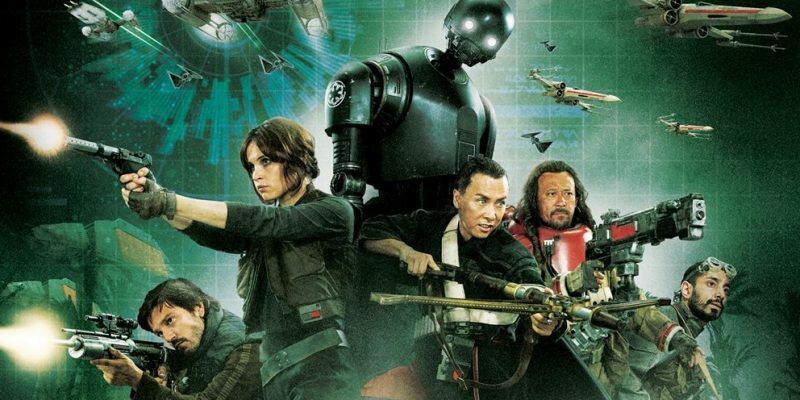 Characters played by Chinese actors fight to protect and avenge their religion and culture (which the Star Wars franchise has been appropriating since its inception without casting any Asian actors until now). Yet amongst these, it is Jyn’s story which is privileged - Jyn who was happy to simply “not look up” at the atrocities happening around her until they directly affected her and her family. That’s a pretty questionable hero to laud for saving the galaxy. Enough about the heroes - what about the villains? Firstly, the digital resurrection of Peter Cushing deserves a round of applause. An incredible feat of technology that wasn’t overstated or distasteful at all and Grand Moff Tarkin was as brutal as ever. Now onto what was utterly melodramatic and ridiculous and absolutely perfect: the Darth Vader scenes. I won’t spoil anything at all, but they’re absolutely worth all the hype. For those of you who never expected to see Vader again on the big screen, you’re in for a treat! Mendelsohn’s Krennic is a good sort of intermediary villain - he manages to be loathable and sort of pathetic at the same time, and it’s always nice to be able to smugly pity the bad guy - especially when we all know there are much scarier bad guys higher up the chain of command! Forrest Whittaker gets a pretty brief role as a morally ambiguous walking plot device, neither hero nor villain, Saw Gerrera. A rebel, but not the right kind of rebel: an extremist. While Whittaker, of course, acts the hell out of his scenes and get almost nothing back from Jones, the character certainly leaves a lasting impression. Strongly paralleled with Vader, the implication is that fighting for the right side by the wrong means is just as bad as fighting for the wrong side. That for all the atrocities the Empire has committed, this freedom fighter is condemned for taking it too far. In the wake of the #BlackLivesMatter movement, and the criticisms it's received, that seems a little obtuse. Again, I won’t spoil any of the brilliant links with the original trilogy, but they are there, and they’re great, and you’re probably going to scream out loud in the cinema. The same can be said about the ending. Suffice to say it’s done beautifully. Overall the pacing of the film is a little odd, with a long slow middle section, but the perfectly constructed ending makes up for anything the middle lacked. Each new planet we visit too is breathtaking - did you know there are beaches in space? Well, you’ll probably never be able to look at a beach again without crying, so, sorry if your summer holiday is ruined!